Now free: Midfielder Lawrence Nduga has finally been released by Shooting Stars. Photo Courtesy. Following over four months of misery, unpaid salaries, starving and sleepless nights, Ugandan international midfielder Lawrence Nduga has finally been released by Botswana top flight side Shooting Stars. The agreement was reached upon yesterday in a meeting held by Nduga in company of his lawyers and Shooting Stars in which they (Shooting Stars) accepted to release the player following pressure from the lawyers. In the meeting, Shooting Stars apologized to Nduga for the mistakes they did and accepted the blame and further confessed that indeed they don’t have the money to clear the player unless when a foreign club comes in to take him that way they can compensate his uncleared arrears something Nduga turned down after advise from his lawyers hence being released. On top of that, the club will buy Nduga an air ticket back to Uganda to take a rest. 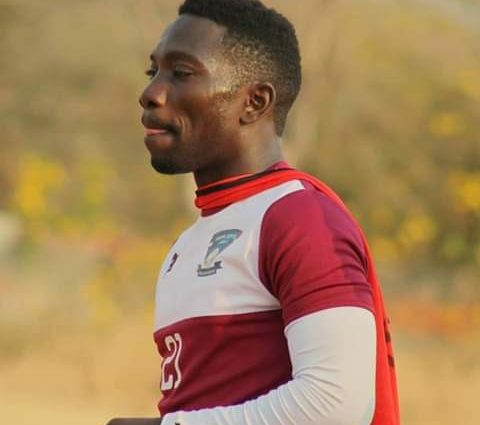 A number of Botswana top tier sides have since shown interest in the services of the former Kira Young and Bul FC player with Orapa United leading the race and according to sources from Botswana, the player is in talks with the club. Deus Bukenya and Martin Opolot (Prisons Xl), Ivan Ntege (Township Rollers) and Alfred Leku (Galaxy FC) are the other Ugandan players who ply their trade in Botswana.